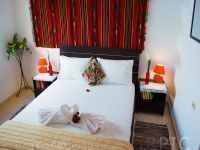 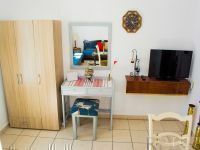 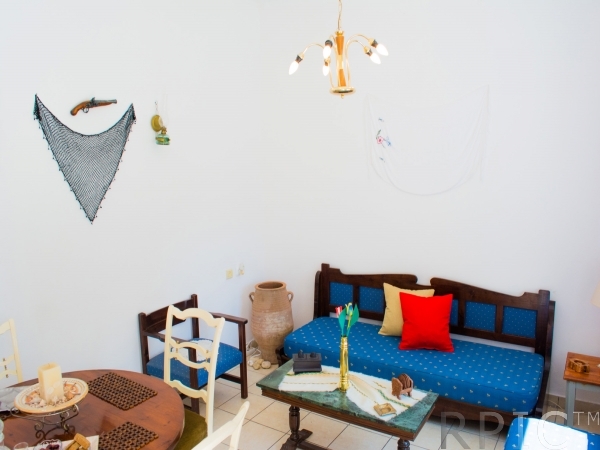 Erofili apartment is cretan tradiotional style decorated including dark wood furniture and old-times fancywork on curtains and pillows. The apartment consists of sitting area with the TV and a massive stone arch separates if from fully equipped kitchen. 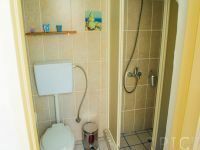 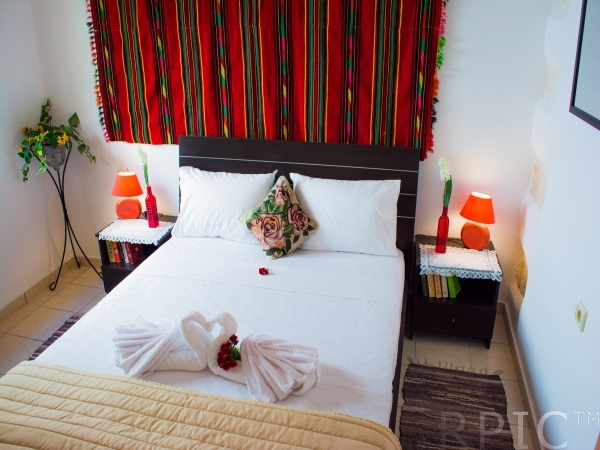 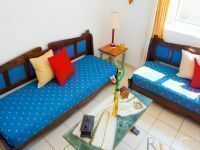 On the same level there is bedroom there is another LCD TV and a comfortable double bed. 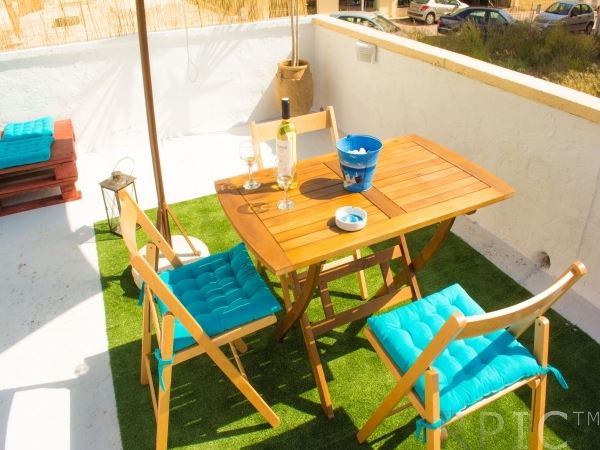 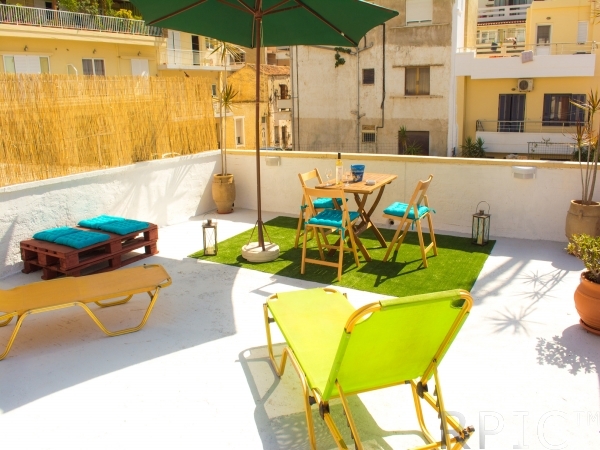 A few stairs lead you to the furnished roof terrace, where you can relax on the sunbed in a shadow, enjoying light breeze from the beach, which is steps away. 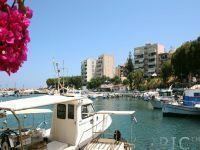 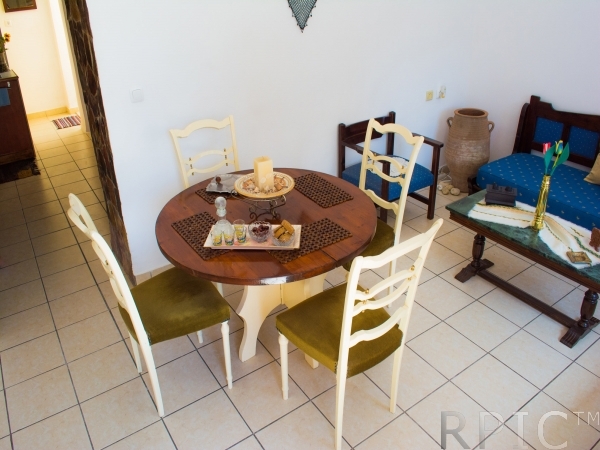 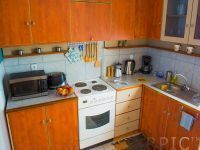 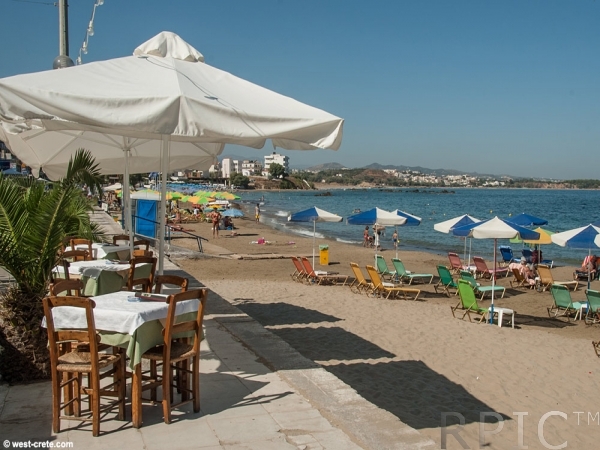 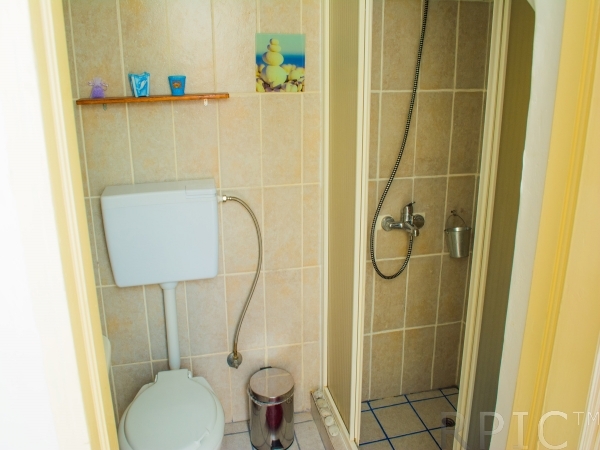 Apartment is steps away from sandy beach of Nea Chora, also famous for its fish taverns. 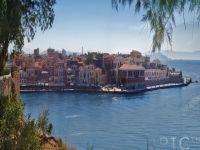 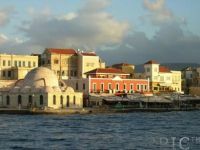 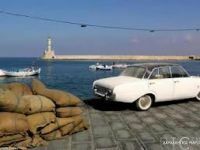 The old town of Chania is 1 km (15 mins) away, it is a pleasant walk along the sea.